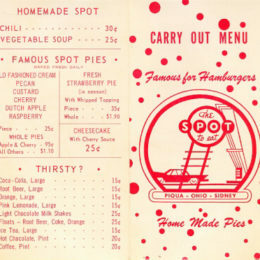 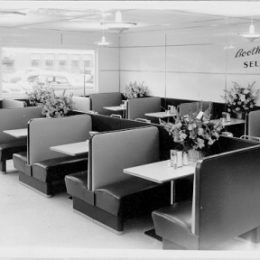 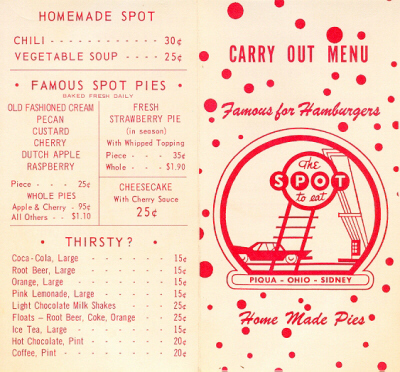 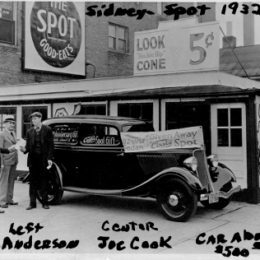 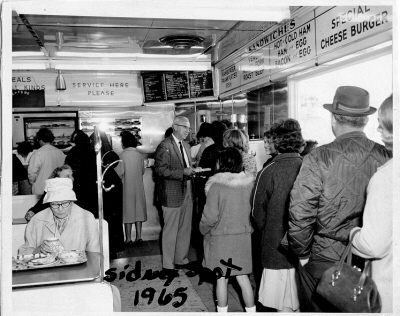 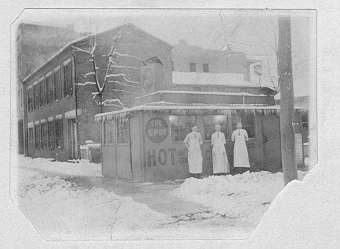 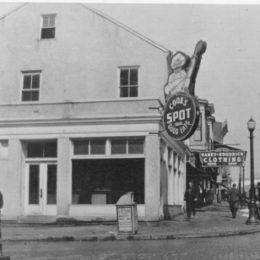 The Spot Restaurant made its beginnings from a man named Spot Miller. 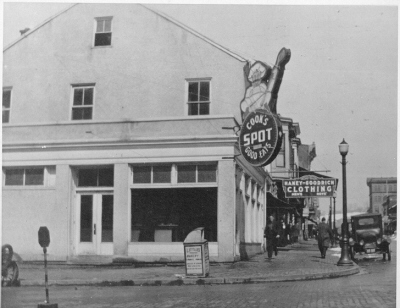 In 1907, Spot brought his chuckwagon into town and set-up business at the corner of Court Street and Ohio Avenue. 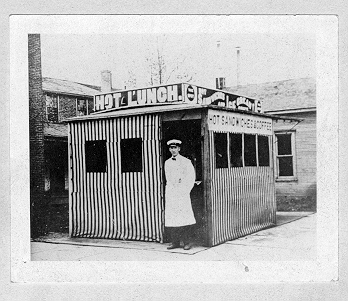 The city would not allow him to sell meals this way. 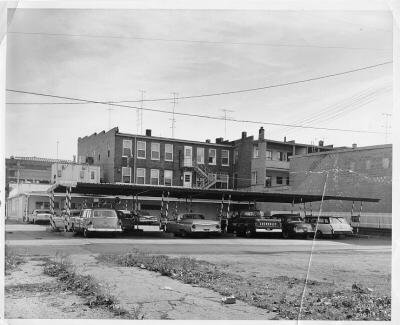 His solution was to remove the wheels, and add some awnings to create a permanent structure. 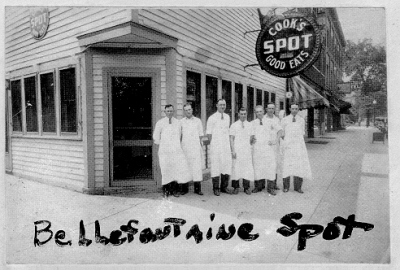 Spot Miller owned the restaurant until his retirement in 1913. 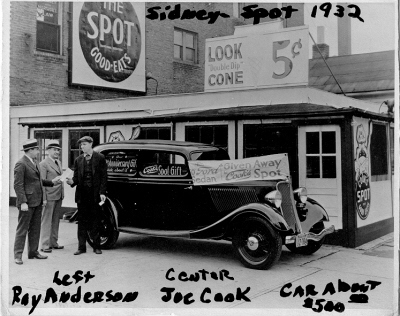 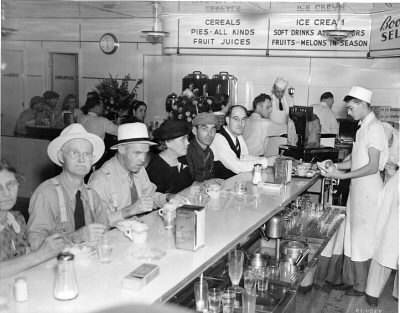 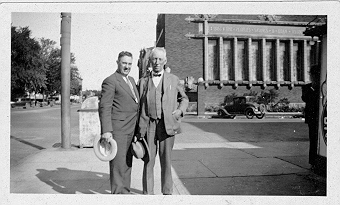 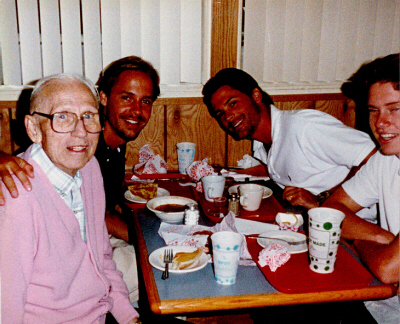 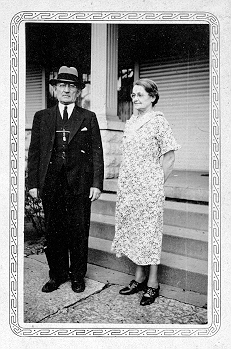 Joe Cook and Homer Spence purchased the restaurant for $5,000. 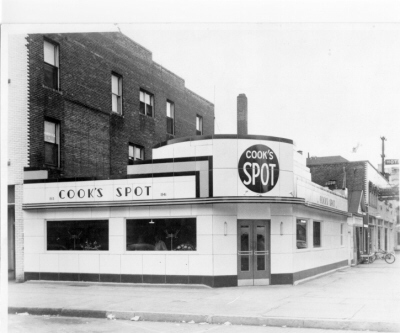 It then became known as Cook’s Spot. 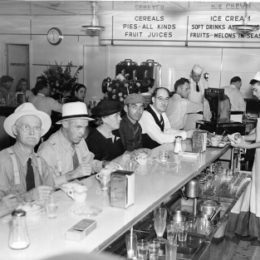 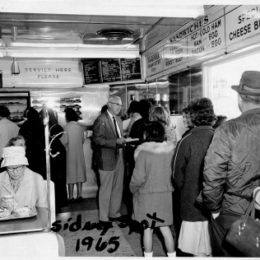 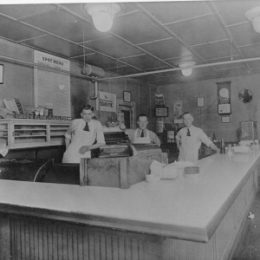 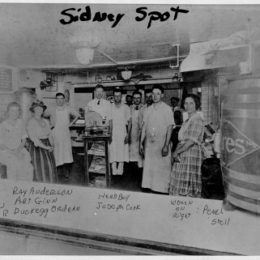 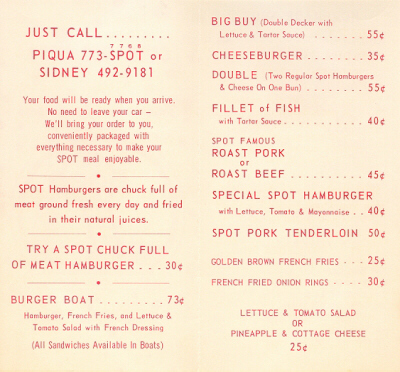 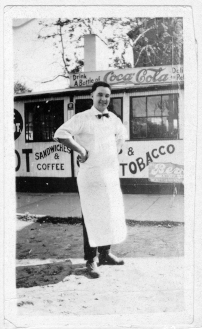 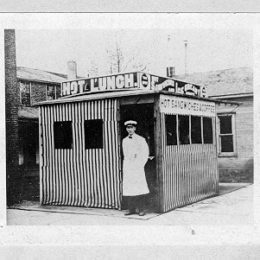 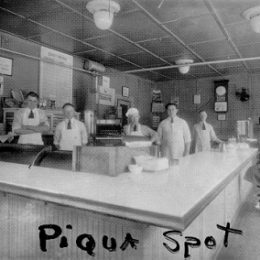 Spence sold his interest in the restaurant to Ray Anderson in 1915, and together they started a chain of “Spot to Eat” restaurants in Athens, Urbana, Lima, and Bellefontaine, Ohio. 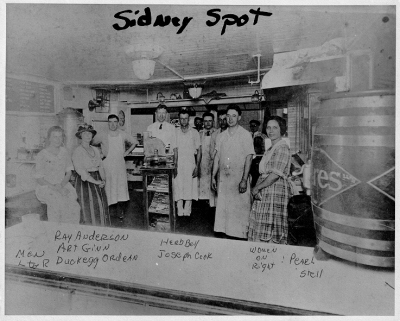 Only the Sidney Spot continues to operate. 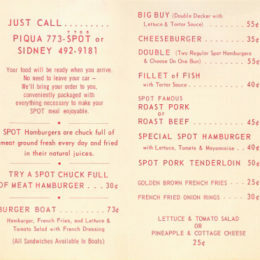 One of the specials from the 1920’s lists “28 burgers for $1.00”! 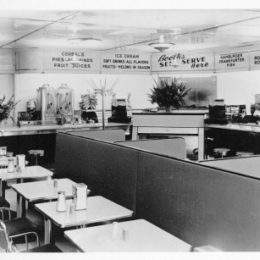 In 1946, Anderson got out of the business and on July 1, 1950 Robert Hepler became the new owner. 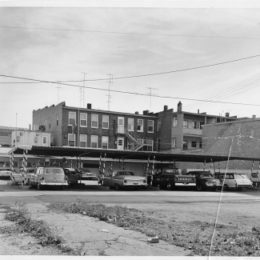 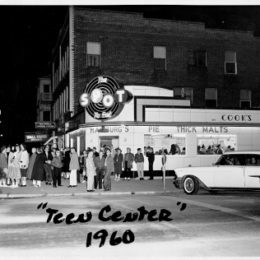 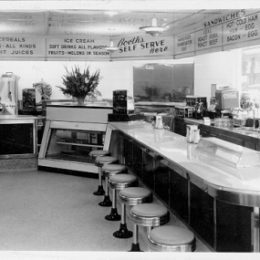 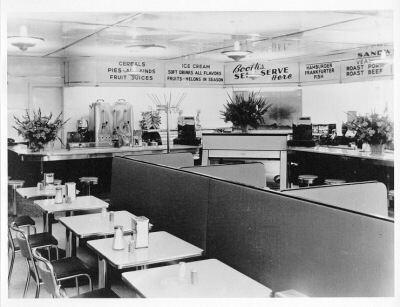 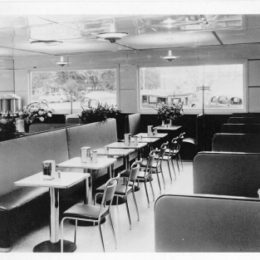 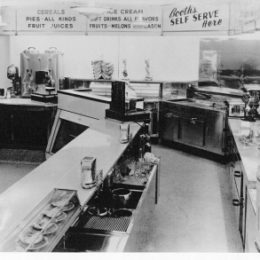 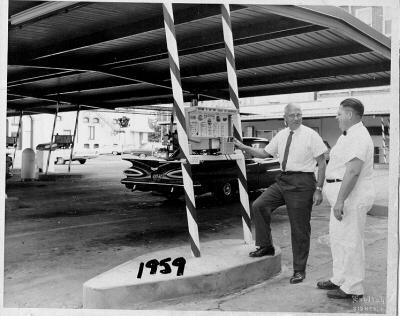 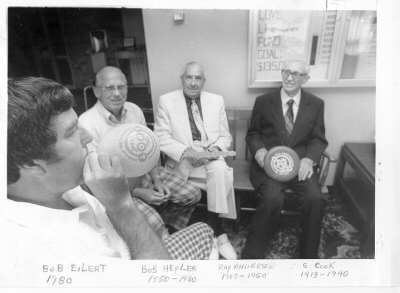 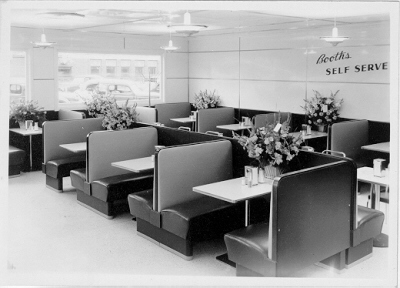 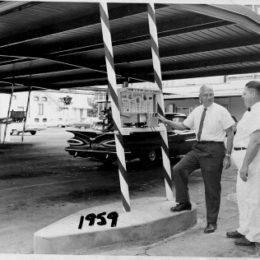 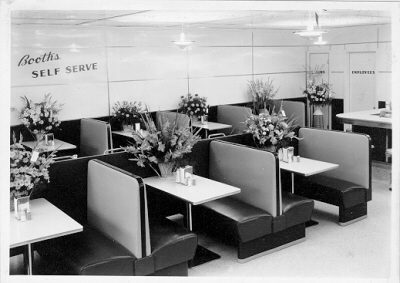 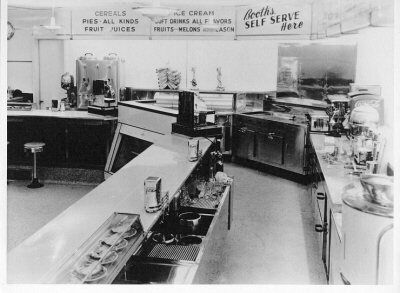 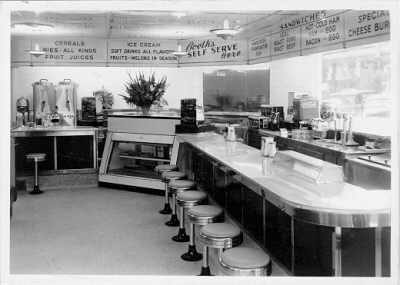 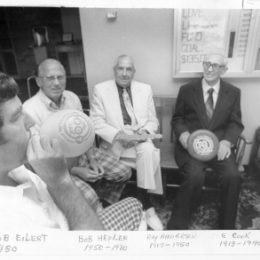 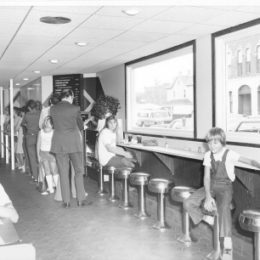 Under Hepler, the restaurant grew to include catering and steak sales, which continue to this day. 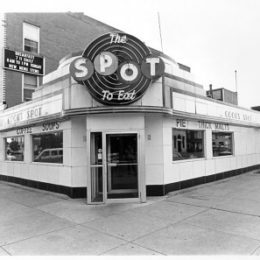 On February 1, 1980, Robert and Barbara Eilert became the new owners of the Spot. 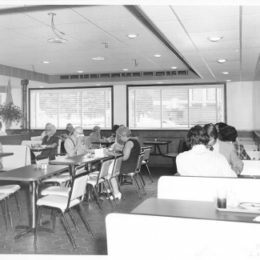 The restaurant and catering business continued to grow under their ownership including exclusive catering rights at The Oaks Club banquet facility at Shelby Oaks Golf Course, and a new catering kitchen being constructed at 207 S. Ohio Avenue. 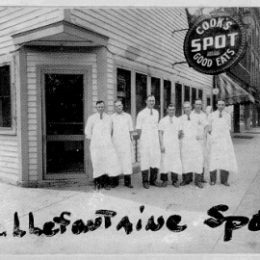 On January 1, 1999, Barry Eilert and Michael Jannides became the new owners of The Spot Restaurant. 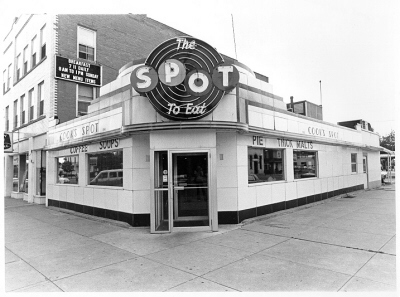 On May 1, 2002, Michael Jannides became the sole owner of The Spot Restaurant. 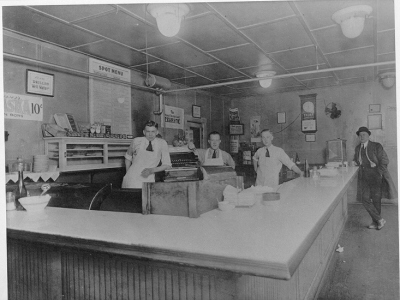 The Chuckwagon was the restaurant between 1907 and 1934. 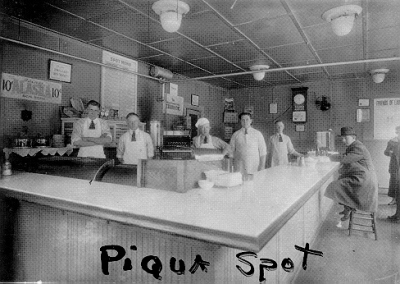 In 1934, a more permanent building was erected at the Court and Ohio location. 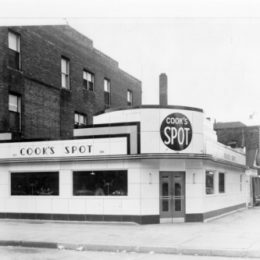 That structure was destroyed by a fire on New Year’s Eve in 1940. 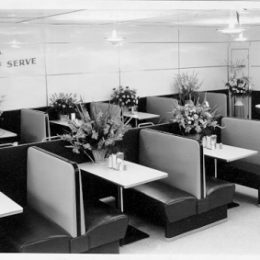 After its remodeling in 1941, the current facility is a fine example of the streamlined Art Moderne architectural style with its smooth, unornamented wall surface faced with gleaming white porcelain tile. 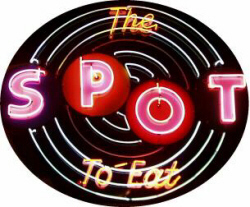 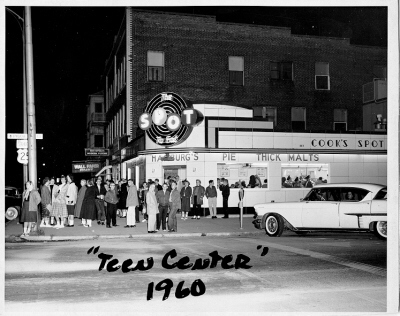 A mid-century modern neon sign still hanging over the front door is still the Spot trademark. 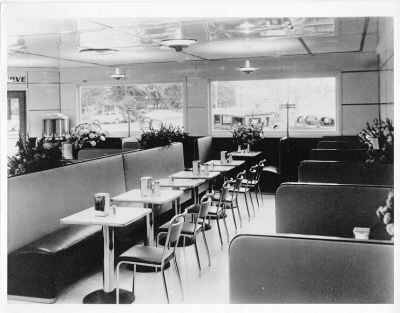 The inside of the restaurant has been remodeled approximately 25 times over the years. 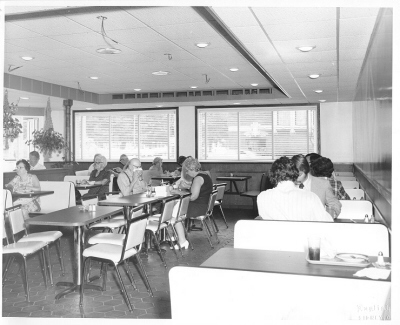 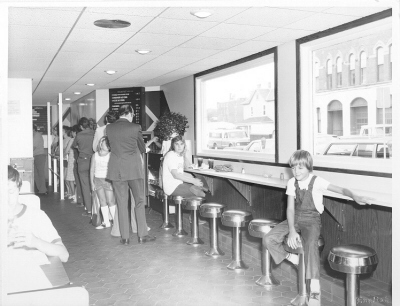 The last major renovation occurred in 1976 giving the restaurant it’s current layout. 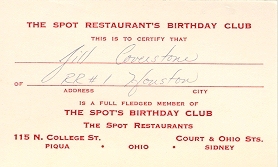 The restaurant has been featured on the cover of the March 1994 issue of Ohio Magazine, and by Ann Heller, food critic of the Dayton Daily News, in their Go! 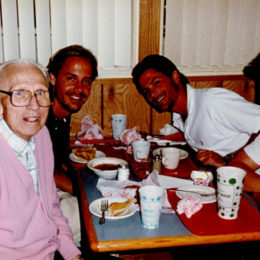 Section on September 27, 1996.